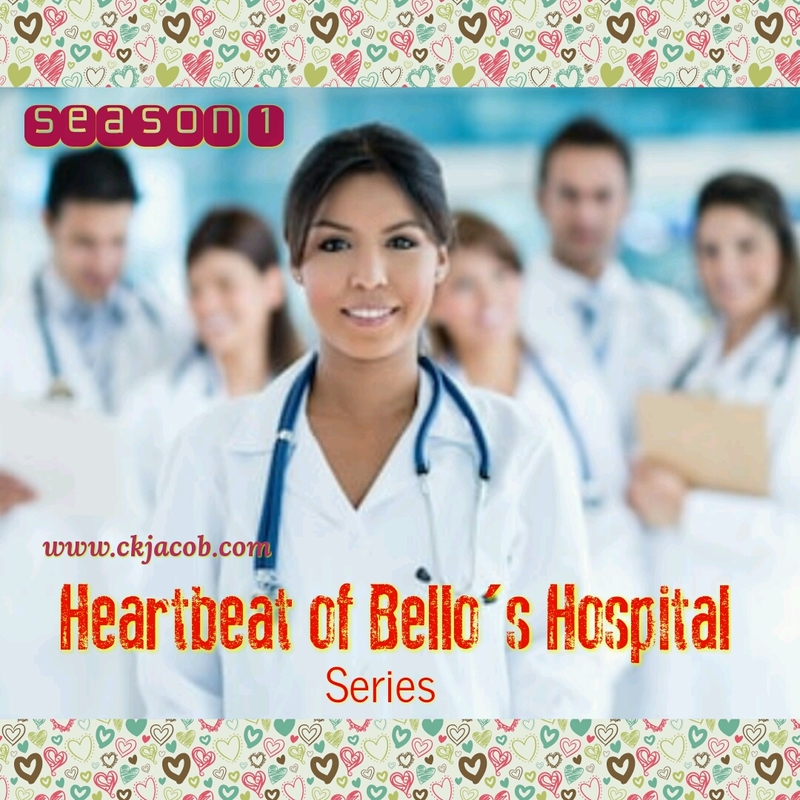 (S1): HEARTBEAT OF BELLO'S HOSPITAL. E4 ~ CK Jacob: Nigerian Fiction And Lifestyle Blog. “Madam, is that your final decision?” Duke asked the woman. “I will get you the consent forms for you to sign.” Duke told her. Duke marched away with Ahmed. Duke could not look at Lola. It wasn’t his fault. What he did was the normal procedure. Lola hiked away to look for Duke. She sighted him with Jidenna and Ahmed. They were in a conversation. She stood behind them and waited. “I have told Oliver to get me the consent forms for the surgery.” Duke said to Jidenna. “Dr. Duke.” Lola called him. Jidenna was about to walk away when he heard Lola’s voice. He paused. The three of them faced her. “What is it Dr. Bello?” Duke asked. “I am sorry.” Lola said calmly. “What if you carry on with the surgery and he survives it?” Jidenna asked Duke. “I can talk to her.” Lola quickly said. Okay Dr. Duke.” Lola managed to smile at Jidenna for trying to back her up. Duke informed Ahmed that they should go to the cafeteria. “I am only trying to help him.” Gina said. Lola cleared her throat. She had been standing there and they didn’t notice her presence. Loretta speedily moved towards her. “She is not my mother anymore.” Loretta said. “By her betrayal.” Loretta didn’t allow Lola finish her sentence. “Doctor, there is nothing you will say that will make me change my mind. When you need me to sign the consent forms, see me in the waiting room.” Gina walked out on them. Loretta realized because of the situation she had forgotten her birthday and in a split second, she remembered. Lola and Loretta left the room together and separated. Lola searched for Dr. Duke, went to his office but didn’t find him. 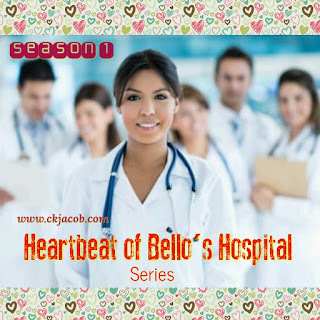 She went to the emergency ward and sighted Zara with her young patient. She had discharged him and was giving the child’s mother his prescriptions. They left and Lola questioned her. Lola turned around and saw Jidenna but he was talking to a man. She decided to check the cafeteria. She went there, and surveyed. The aroma of food made her very hungry but she wasn’t there for that. She touched her stomach and heaved a sigh. Lola saw Ahmed and Duke eating on the same table and she moved to meet them. “Dr. Duke.” She called him. Duke peered into her eyes. The look in her eyes gave him the answer he needed. He didn’t even allow her to talk further. “She refused, right? “How did you know?” Lola asked him in a surprised tone. “No doc.’ Ahmed stood. He had placed his spoon down. Duke began to walk away. Ahmed stared at Lola. “I’m sorry.” He hurried to walk with Duke. Lola thought of Loretta. She wasn’t going to give up. Wendy Fayemi’s was working on her desk in her office when she heard a knock on her door. Lola entered and closed the door. Lola became short of words. She didn’t know what to say anymore. Duke knocked and opened the door. He appeared surprised to see Lola. He said nothing and gestured to Wendy’s desk. He dropped the documents and she signed straight away. Wendy explained. Lola couldn’t look at him. He moved closer to Lola. Lola gazed at him surprised. Wendy looked at Lola and pondered on how she did it to convince Dr. Duke. 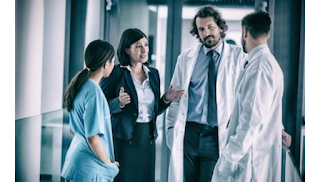 They knew him to be stubborn when it comes to making decisions for his patients. She glanced back at Duke. He opened the door and Lola followed. “If only I know what it means to have a father.” She said almost in tears. Duke stared at her surprised. He didn’t say a word. Duke and Lola walked towards the waiting room and met Ahmed and Melvin coming their way. “Dr. Duke, I have been looking for you.” Ahmed said. “Can I assist you Dr. Duke?” Melvin asked him. “Okay.” He went with Oliver. Duke, Lola and Ahmed went to meet Gina. Loretta motioned closer to listen. “They are with me but I will like to talk to you.” Duke answered. “You can amputate his leg if that is what she wants.” Loretta said in a teary tone. They were surprised at the words that came out from her mouth. “Do you want to give up like that?” Duke asked her. Lola looked at him pitifully. They were all surprised. Loretta hugged her mom and they started crying together. Duke walked away faster. Lola and Ahmed quickly went to meet him. “Please, I want to assist you.” Lola pleaded. He was about stepping away with Ahmed when Lola spoke to him. “Why are you sorry?” Duke asked in a puzzled tone. “You said you lost your father.” Ahmed reminded him. Duke marched away and continued to laugh. Ahmed and Lola stared at each other speechless. They had never seen him laugh like that. Loretta refused to go home. She and her mother followed Lola to the cafeteria to eat. Loretta took her drugs too. Lola called her mother she might return home late. At 8:21pm, Jidenna saw Lola sitting alone and looking very worried. He sat down beside her and she looked at him. Jidenna touched and squeezed Lola’s hand slightly. He smiled at her and left. She saw Loretta coming her way. She stood. They sat and Loretta rested her head on Lola’s shoulder. The patient was losing blood and Duke was trying to stop the bleeding. “Doc, the patient is not stable.” The anesthesiologist stated. Duke, Ahmed and Zara remained focused and determined to save Mr. James. “Stay with me, don’t give up on me!” Duke said. 11.12pm, Duke came out and saw Lola and Loretta sleeping. He called her name. Lola woke and Loretta did immediately. They rose. “How did it go?” Lola asked. “What about my father?” Loretta questioned. There was fear in her eyes. Loretta looked at Lola. She was unable to express herself. She embraced her. Lola smiled at Duke as she strolled away. Duke nodded and smiled back. 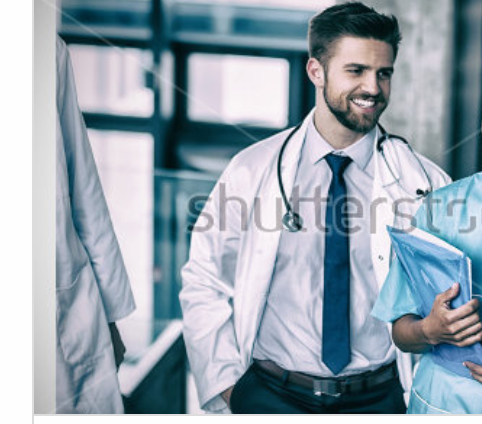 “Okay doc.” Ahmed left Duke. Duke was exhausted. He could not tell Lola what had happened in the OR. They had lost the patient but something happened. Something he couldn’t explain. It was probably what his father would call a miracle. Mr. James died for a moment and came back to life. Duke thought of his father. What would happen to him if his father lost his life? They were very close. Duke avoided going home because his mother won’t stop talking about marriage. He dipped his hand into his pocket to get his phone and called his number. He narrated to his father what he told Loretta. Lola watched Loretta enter the ICU to meet her father. He was sleeping peacefully. Lola Bello wondered what it felt like to have a father. Her mother told her he died but never accepted her as his child.